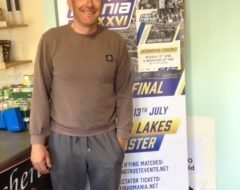 Bookmakers won’t be struggling to find a favourite for this year’s Fish O Mania final as Will Raison, regarded by many as the best commercial fishery angler there is, makes it to the Fish O Mania final. 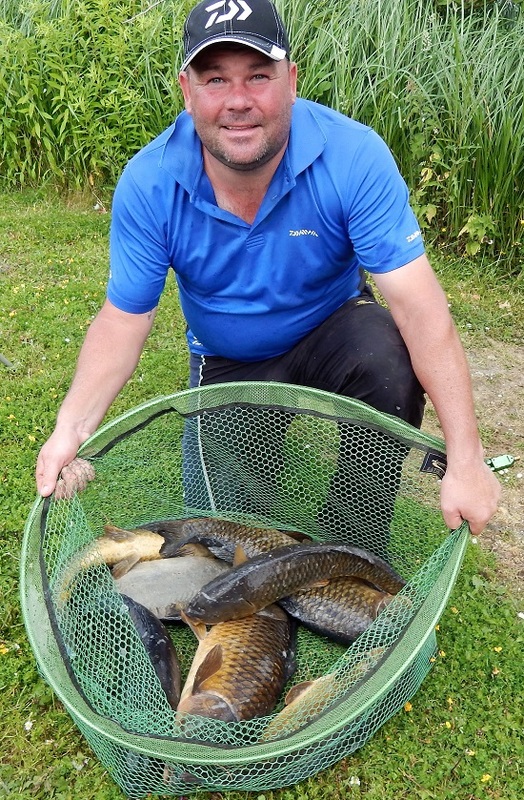 Anglers headed for the Gold Valley Lakes in Hampshire for the penultimate Fish ‘O’ Mania qualifier with temperatures soaring into the high 20s as a heatwave engulfed the country. This saw the lakes’ large carp making their way to the surface layers which in turn led to shallow fishing with both dobbing and pellet waggler popular tactics. Making a last minute decision to fish the match on spec. England international Will Raison took the match and a place in the £50,000 final. Will drew corner peg 102 on Syndicate Lake and smashed the double ton weighing in 211lb 4oz, comprising of 29 carp to 18lb. Tactics for the win were dobbing meat to showing fish and pellet waggler with 8mm pellet. Coming close again was Prezmek Solski from Harrow, this time one place nearer than his earlier attempt at Monk Lakes. Prezmek drew peg 34 on Gold Lake and caught 157lb of carp to 18lb fishing a busy match on the pellet waggler. In third position was Jamie Burt from Feltham who drew peg 15 on Gold Lake. Jamie amassed a huge 136lb 12oz of carp into the high teens. Tactics were once again pellet waggler to catch them up in the water. Mark Goddard had a close battle with Daiwa Dorking team mate Paul Hillier on Syndicate Lake but 132lb 8oz left him that critical half pound clear of Paul on 132lb exactly. 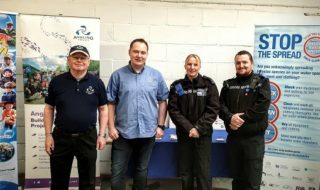 The Angling Trust would like to thank John Raison and his staff for their help, hospitality and excellent fishing on the day. 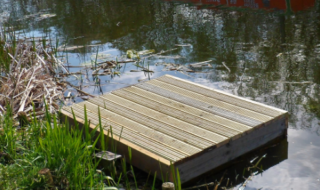 The last Fish ’O’ Mania qualifier is at Lindholme Lakes on Wednesday, 21st June. Tickets are closed on the booking site but some places will still be available on the day on a first come, first served basis.